Thousands of bike riders took to Sydney streets on Sunday, October 14 in the Spring Financial Group Spring Cycle. The four Sydney rides enabled cyclists to cross the Sydney Harbour Bridge roadway and explore parts of the city rarely seen by bike. 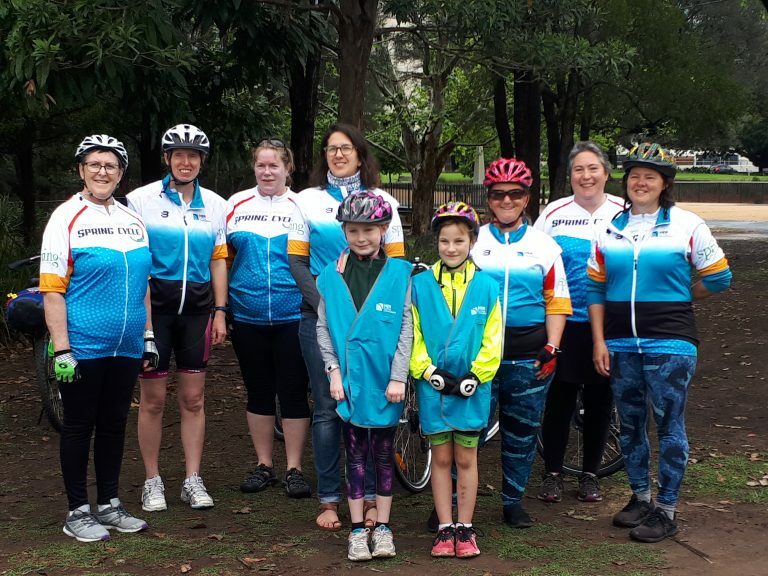 The 18km River Ride, starting from Parramatta Park, was a celebration for Sarah Marang and the eight other ladies who are members of Her Cycling Connections. 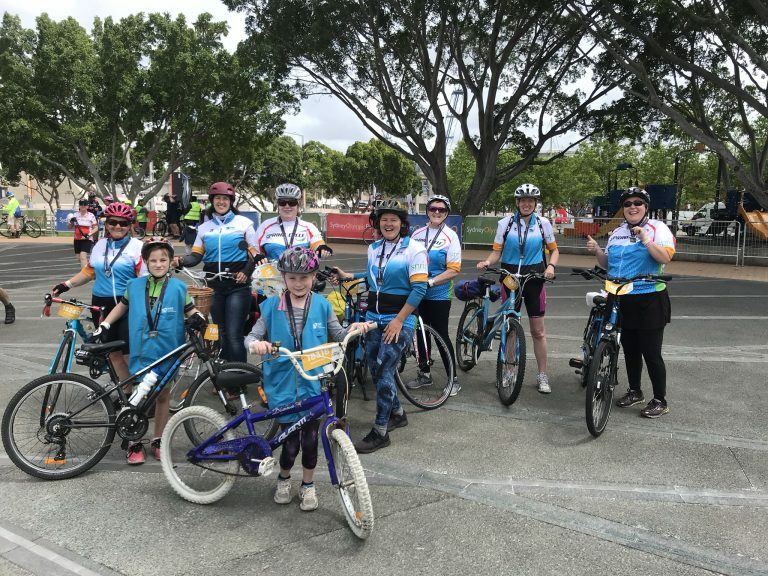 Charlene Bordley, from Addventageous, started Her Cycling Connections in conjunction with Bicycle NSW, after receiving a grant from Cumberland Council. “Our program is really about empowering local women. Many of those who come to us haven’t ridden a bike in years, or in some cases, never. Her Cycling Connections is about building a bike riding community to increase social interactions, build confidence and also increase their health,” stated Charlene. Sarah met Charlene at her children’s school, and undertook a skills courses to increase her confidence in bike riding. “It gets me out of the house, it gets me connecting to people and laughing,” explained Sarah. Rain did not keep any of the women from Her Cycling Connections away on Sunday. They all arrived, looking stylish in their Spring Cycle jerseys, with big smiles ready to ride. The Spring Cycle River Ride follows the Parramatta Valley Cycleway - a shared path from Parramatta Park to Sydney Olympic Park - and is used by a diverse range of riders. For Bicycle NSW, this event is about helping people back onto their bikes, showing them parts of Sydney they didn’t know existed to encourage them to ride all year long. “It was fantastic to see these women ride over the finish line at Spring Cycle. The bike riding community is very diverse and it’s amazing to see them celebrate cycling all in one place,” commented Bicycle NSW Communications Manager, Kim Lavender. Save the date for Spring Financial Group Spring Cycle - October 20, 2019.